must decide is: who’s server will be ‘hosting’ your website. Here you have two main choices which differ in cost and flexibility. You probably noticed that some website names are very simple such as “www.myschool.com” and some might have a longer address such as “www.yahoo.com/school/newyork/k-12/myschool.com”. The difference is that in the first example the school owns their own ‘domain’, where as in the second case the school uses some of the server space available in the “yahoo” domain (that’s why the address starts with “www.yahoo.com”) . Think of it like owning your own city block (your own domain) or renting an apartment in a tall building (part of someone else’s domain). Obviously being part of someone else’s domain has some restriction such as amount of space available for your website, number of email addresses available, number of visitors you can have, and of course the choice of your website address. The main advantage however used to be the low cost. 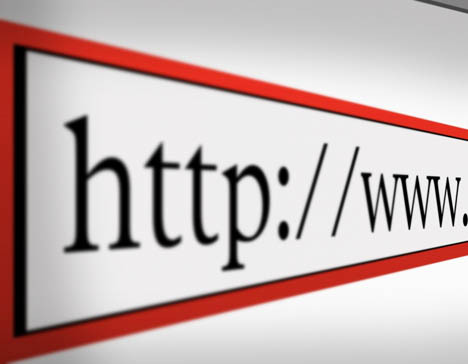 Many internet service providers (the people that connect you to the internet and give you an email address) will often let you use some of their own server space to host a small website for free. On the other hand, having your own domain means that you have significantly more freedom and resources available to your organization. The cost of having your own domain used to be relatively high, but with the continuing growth of the internet and the progress of the associated technology, the cost of owning your own domain has dropped significantly and is now less than the cost of owning your own cell phone. Furthermore, there are now some very easy ways to have the website pay for itself (more on that in part 4). When looking for a website (or domain) hosting company, you need to have an idea of how much space you will require on their server. Typical websites containing text and some pictures require a moderate amount of space, perhaps 50MB (50 mega bytes). So a school website with 20 independent classroom sites would require only about 1000MB=1GB (1 giga byte). What requires a lot more server space are websites which contain video clips or audio files. Our advice is to start small and if your site(s) begin running out of server space then your hosting company will probably notify you, and you can simply increase your server allowance for a few extra dollars per month. Below are some ads from different web hosting services available on the internet. Some will not only host your site but also offer to create your website for free, or at least give you the software which will allow you to do it yourself. If you pick the right hosting service they will walk you through the rest of the points we are about to describe.